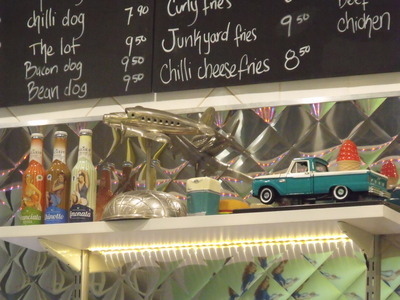 If you are a fan of the 50’s and 60’s style American Diners, then you should treat yourself to a burger and curly fries at the Back Galley Split in Camden. 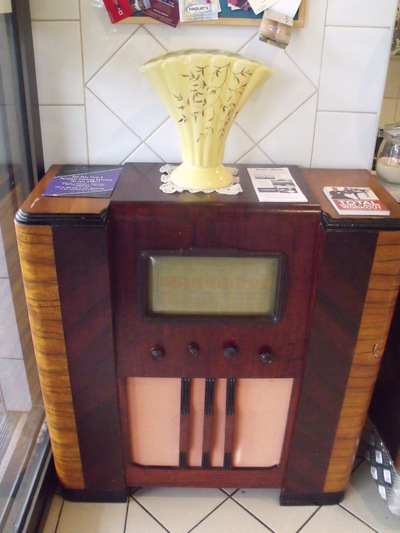 Situated on Argyle Street, this hip and retro diner will have you tapping your feet to the sounds of music from that era that plays in the background. 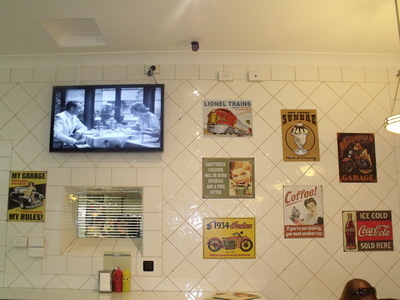 The décor is what you would expect from an all American diner. 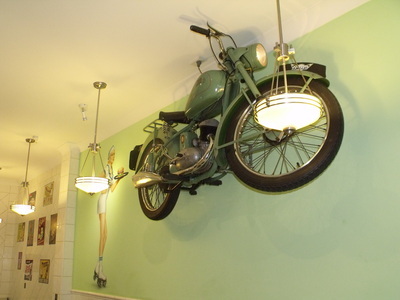 The walls are covered with vintage pictures, girls on roller skates and an amazing motorbike that suspends from the ceiling. 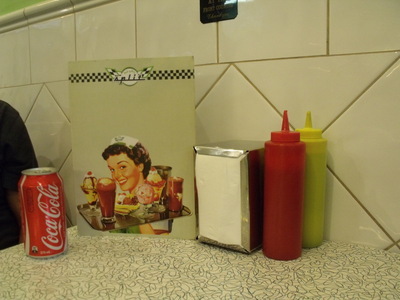 The tables are set up with a menu and old style sauce and mustard bottles. 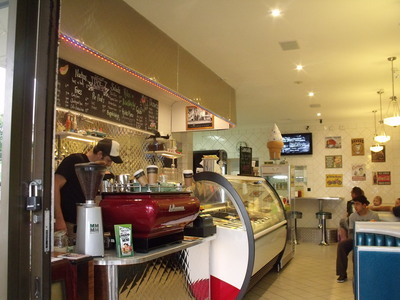 With electric blue booths, a juke box machine, swivel chairs and an old fashioned coffee machine; this is a really cool place to grab something to eat. Service is at the counter. You order your meal and pay for it prior to taking a seat. 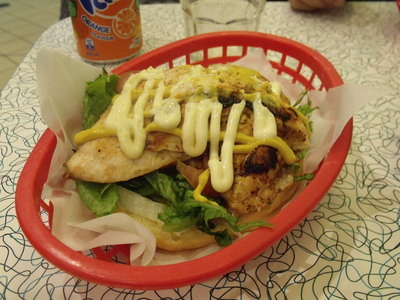 For our quick bite we chose the Chicken Burger ($12.90). This was a combination of marinated chicken breast, lettuce, tomato, mayonnaise and mustard, all served in a little red basket. The bread was so soft and fresh. The chicken was perfectly cooked and beautifully marinated. The mustard was a little hot, however that completely complimented the entire burger. 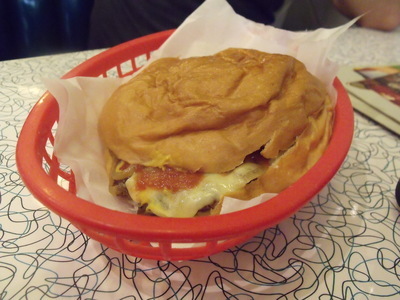 We also tried the cheeseburger ($7.50). A beef patty with onion, cheese, pickles, mustard and tomato sauce all inside a deliciously fresh bread roll. 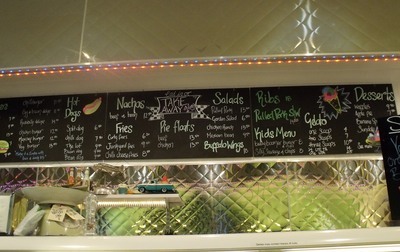 There are many other options to choose from at the diner including the Vegi Burger ($13.50). This is a vegetable patty with beetroot, tomato, lettuce, cheese, mushroom, onion and mayonnaise. 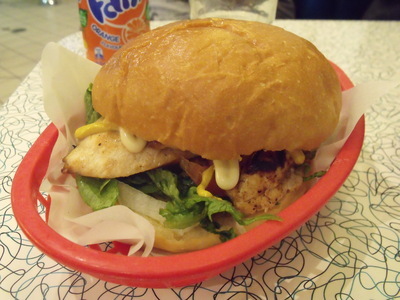 For those who like it a bit hotter there is the Hell Burger ($9.50). A combination of a beef patty with cheese, topped with jalapeños and house made chilli relish. 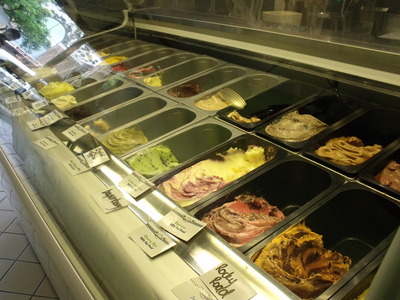 For something different there is also a Chicken or Beef Pie Float ($13.50). A gourmet pie served with potato and pea mash topped with gravy. This is a really great place to have something to eat. 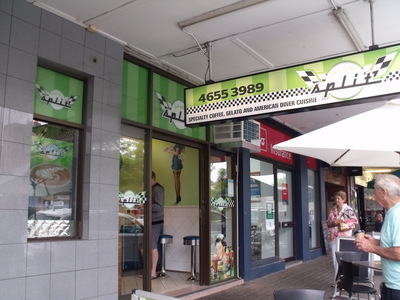 Inexpensive diner food with a great atmosphere and really friendly staff, this is a great place for adults and kids.